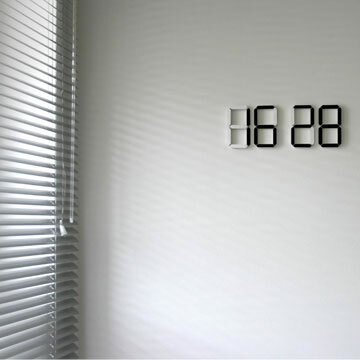 If this clock is in production by Christmas, you can add it to my list. Minimal, functional, beautiful. 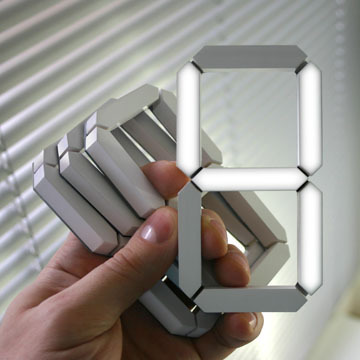 Battery operated, individual pieces, set time by touching each number and auto-adjustment to light to determine white or black numbers. More design like this, please. I wish it was for sale, but sadly they haven’t produced any as of yet. Just a concept. Thanks for stopping by. Is your clock in production? I love your design… wher to buy it?